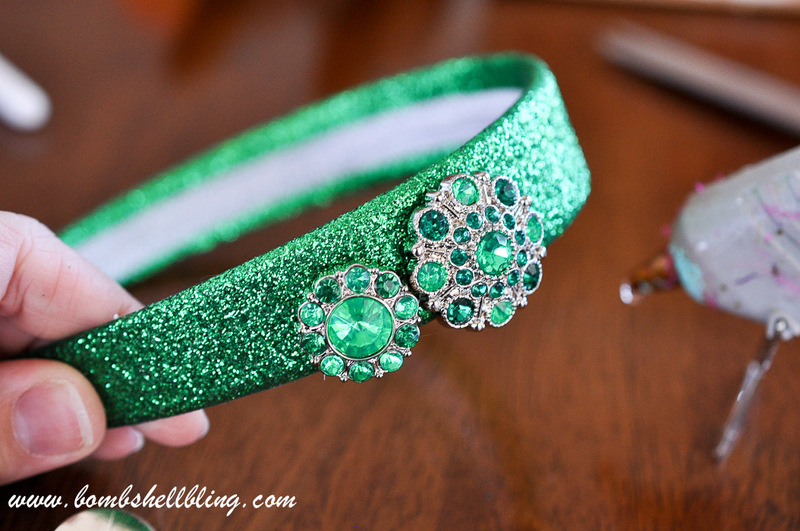 Rhinestone Headband for St. Patrick's Day - Rainbow and Green BLING! 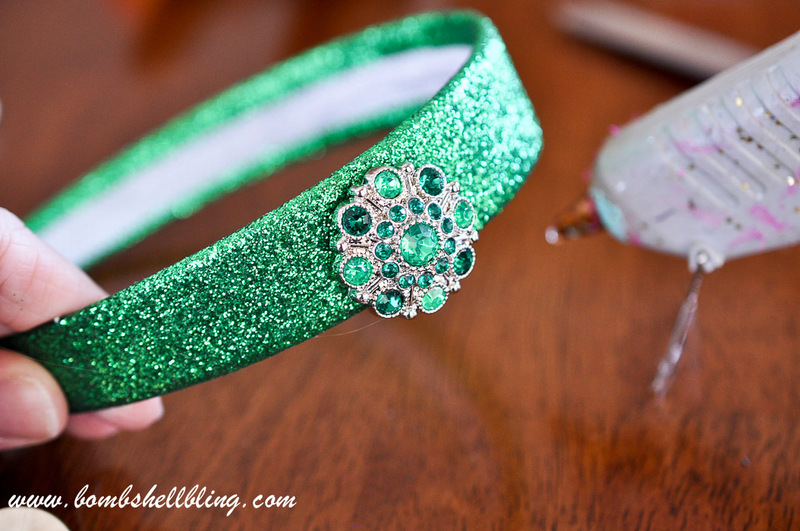 Make this St. Patrick’s Day inspired rhinestone headband in five minutes flat with this clear tutorial. 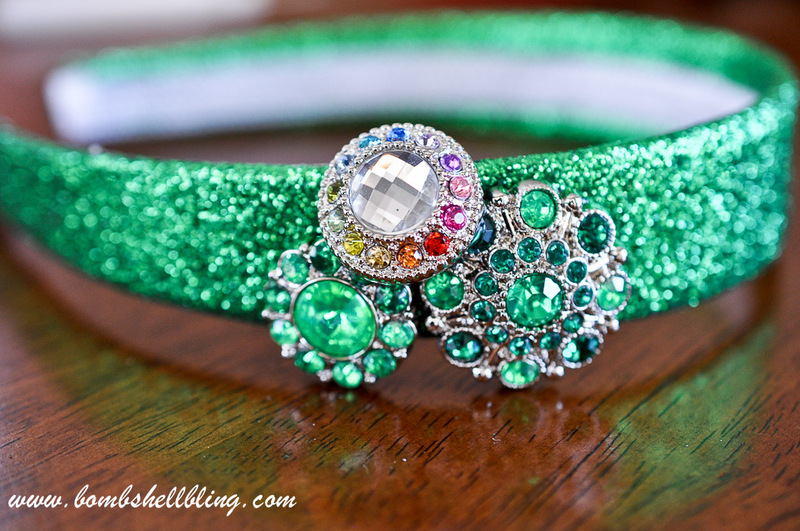 Rainbow and green BLING to delight your little lady! Well, my little princess isn’t quite so little anymore. 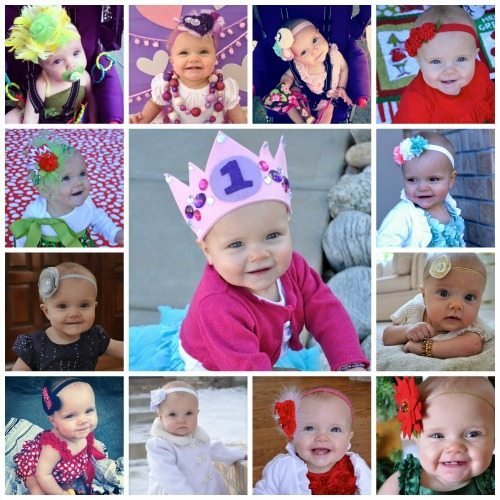 In fact, she is almost two! Waaaaahhhhh! I hate it when babies grow up. 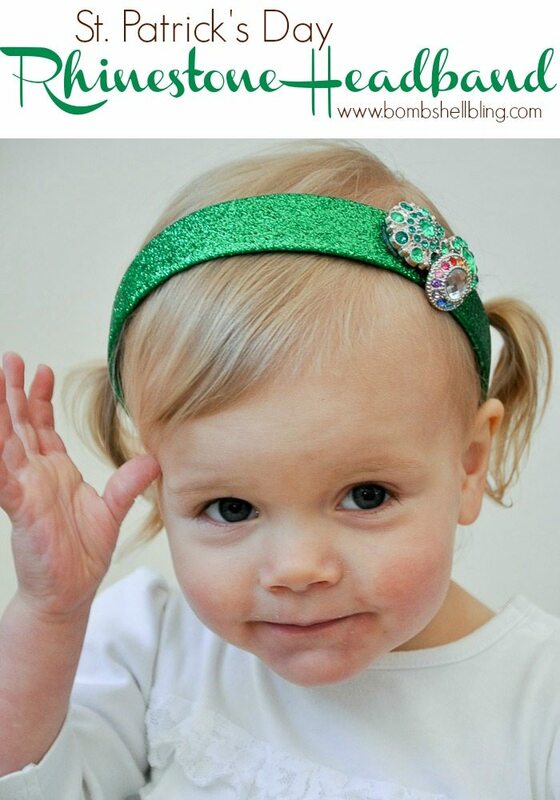 Lately Little Princess now seems to like hard headbands better than elastic ones with enormous feathers on them that get into her eyes. Go figure. So today I thought I would branch out and make her something different. Start by cutting the back loop off of the buttons. I couldn’t get mine super flush with the button back, but it didn’t matter in the end. 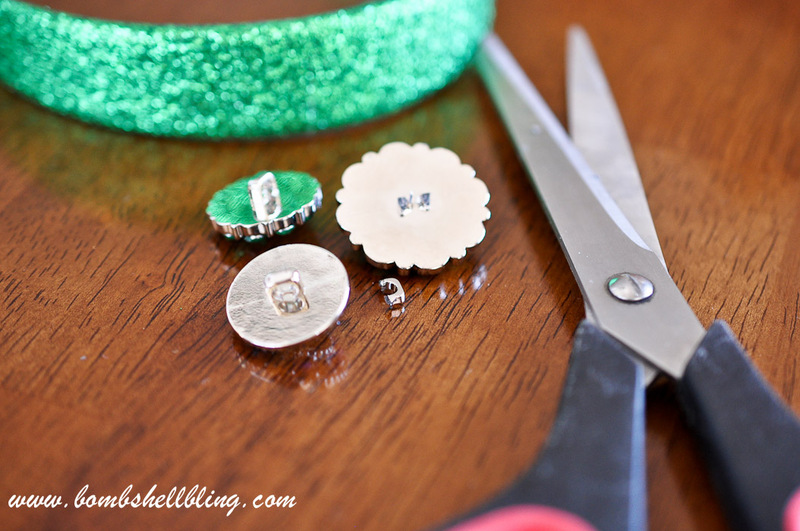 Think about how you want your buttons arranged and then just start gluing them on one at a time. Be generous with the glue! You are DONE. It is THAT simple! Crazy, right?? 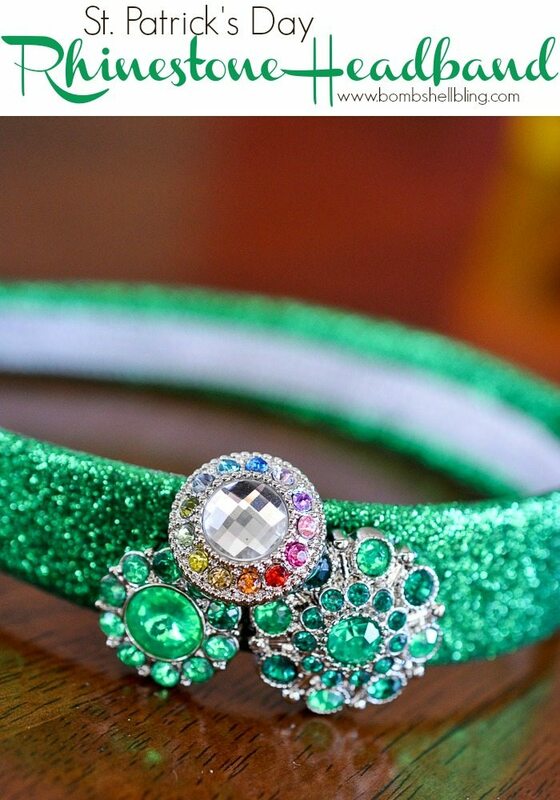 But isn’t it cute on my little Irish princess? I especially love that little rainbow rhinestone button. 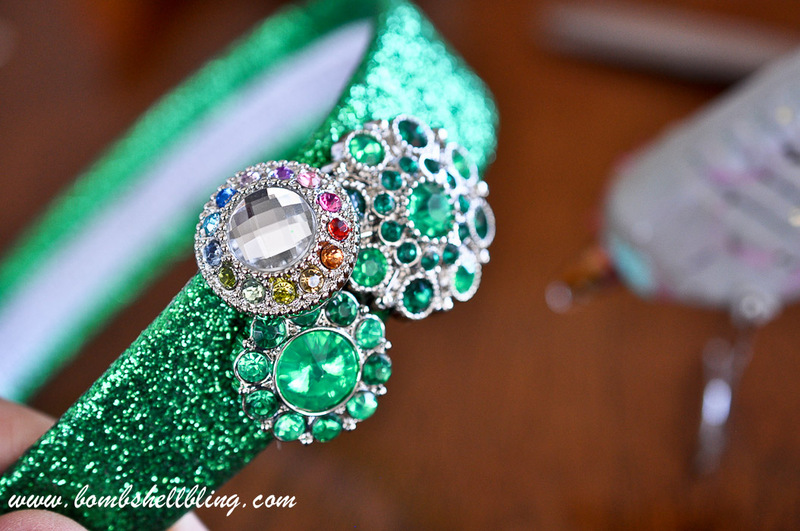 This is so beautiful and you make it look so easy to make. Thanks for sharing with us at #OvertheMoon Link Party. I love your little ‘model’ she is so cute. I’ve pinned and shared. 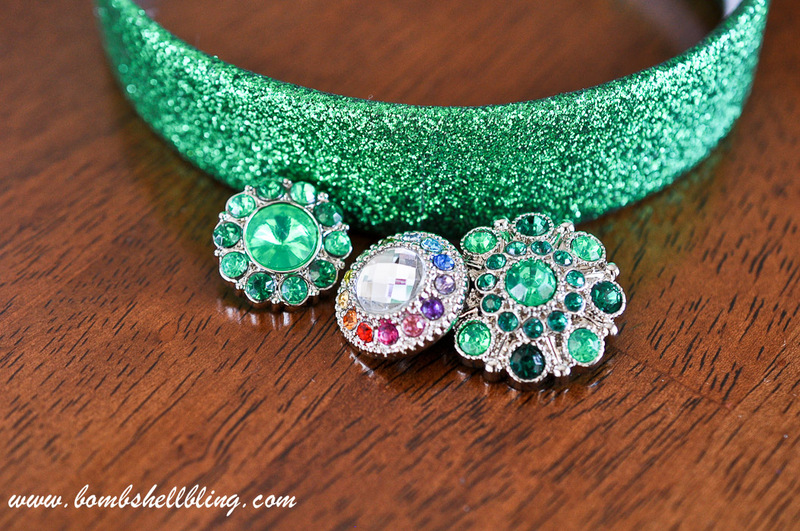 Cute idea for St. Patrick’s Day! Thanks for sharing at the Inspiration Spotlight Party. Pinned & shared. 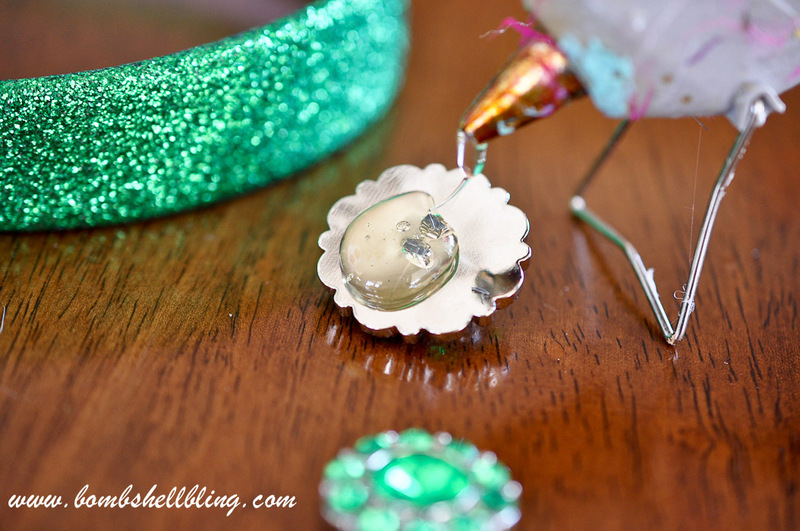 Super cute idea and such a simple craft. Thanks for sharing it on Merry Monday. Pinned. It’s so pretty and fancy! !